Reflective Reading and the Power of Narrative: Producing the Reader is an interdisciplinary exploration into the profound power of narratives to create—and recreate—how we imagine ourselves. It posits that the process of producing a text also produces the reader. Written from the perspective of a psychoanalytic feminist, Sproles considers a wide array of examples from literature, popular culture, and her own experiences to illustrate what she calls "reflective reading"—a metacognitive reading practice that recognizes the workings of the unconscious to push the reader toward a potentially transformational engagement with narrative. This may manifest as epiphany, recovery from loss or resolution of repressed trauma. Each chapter draws on examples of characters and authors who model a reflective reading process from Jane Austen and Virginia Woolf to Johnny Cash and Alison Bechdel. 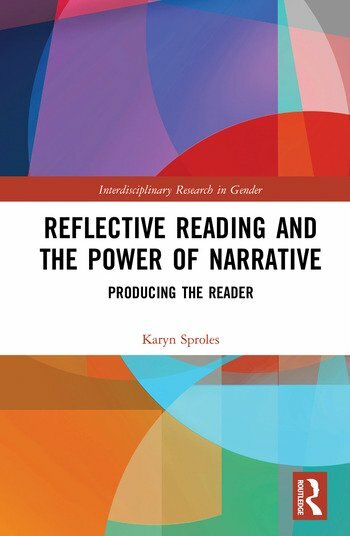 By reclaiming the role of the unconscious, Karyn Sproles reinvigorates the theoretical work begun by reader-response criticism and develops a deep understanding of identification and transference as an integral part of the reading process. For students and researchers of cultural studies, psychoanalysis, gender studies and feminist literature and theory, Reflective Reading and the Power of Narrative offers innovative and accessible ideas on the relationship between reader and text. 7. Reflective Reading, Faith, and Transformation in Susan Howatch’s Church of England Novels 8. Walking Contradiction: Johnny Cash and the Instability of the Subject 9. Depicting the Undepictable: The Reflective Analysis of Alison Bechdel’s Are You My Mother? Karyn Sproles is the author of Desiring Women: The Partnership of Virginia Woolf and Vita Sackville-West (2006). She is currently the director of the Center for Teaching & Learning at the United States Naval Academy, where she also teaches in the English Department.